Cloud computing has helped companies in a variety of industries greatly improve their business operations and reach new heights. The healthcare industry is one particular sector that has been able to accomplish a whole new range of efficiencies and capabilities thanks to cloud computing, especially concerning acquiring important data from customers and so on. 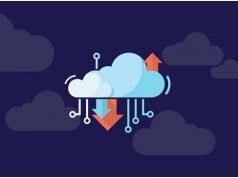 To help you achieve a better understanding of how cloud computing has positively influenced the healthcare sector, below are some of the ways cloud computing improves data acquisition and sharing within the sector. Because of the far reaching nature of cloud computing,collaboration among organizations and individuals in the healthcare sector is far easier. With increased collaboration, it becomes easier to share data and other information with multiple parties with greater ease. This allows professionals to store, communicate, and access data remotely from anywhere in the world and at less cost. Access to a patient’s data records can be immediately had and necessary care communicated without any delays. Cloud computing offers all the server benefits of colocation and much more. Thus, in the event there’s a disaster in one location, the data being used in that location doesn’t have to be lost as cloud computing makes it possible to store all such data off premises. When the affected organization recovers from the disaster, all the data that’s backed up to the cloud can be easily accessed to restart the organization from where it left off, instead of having to start from scratch. Another benefit is medical professionals that are operating in the disaster struck area can effectively consult with other professionals around the world with the aid of the cloud. This makes requesting for assistance and additional resources much easier. Storing huge amounts of data inexpensively is far easier thanks to cloud services. Not only can organizations in the healthcare sector store and access large amounts of data with ease through the cloud, they can also access it at any time and from anywhere. They can also share the data without hassle with their colleagues within the industry. This makes it possible for smaller hospitals or other healthcare companies to access the kind of information they need at less cost to offer the best care. The field of medicine is constantly changing with new medical procedures and possible cures being developed on a frequent basis. Thanks to the cloud, the data concerning new breakthroughs in medical research can be easily accessed by all those who are interested. This makes it possible for doctors who are located even in remote locations to provide better care to their patients with the data that is at their disposal through the cloud. Because of the speed and ease of transferring data through the cloud, remote patient care has become a norm in many countries. Mobile apps and other technologies have further facilitated this advancement in the healthcare sector much to the benefit of everyone involved. 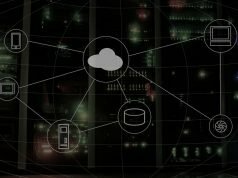 These are just some of the vital ways which cloud computing is vastly improving performance in the healthcare sector by facilitating easier access to a wide variety of data. 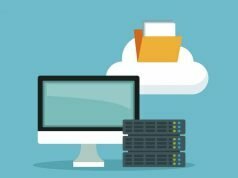 Next articleWhy Is Managed Hosting Expensive And Should You Go For It?